The sibling relationship is a weird one. Just because you share a parent or two, you are expected to be friends. Sadly, that is not always the case. It doesn’t always work that way. My father actually had eleven siblings. He grew up in an Irish family, and I guess his parents frequently found themselves bored. Anyway, these days, he only has a close relationship with one of those siblings. I don’t think he talks to any of the other ones more than once a year. That sounds terrible, I know, but I don’t talk to either one of my siblings. I wouldn’t call either one of them if I needed a kidney; I hope they feel similarly, because they can’t have one of my kidneys. 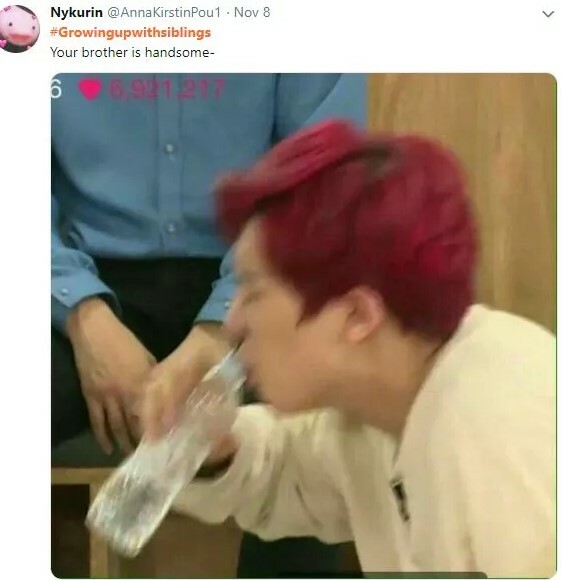 I have seen great examples of sibling relationships, though; most of those examples come from television, but they apparently exist in real life. My friend Will is sort of close to his brother. They loathed each other when they were growing up, but they’re friends now. For example, when my friend’s car broke down recently, his brother was there to help him get his car started. 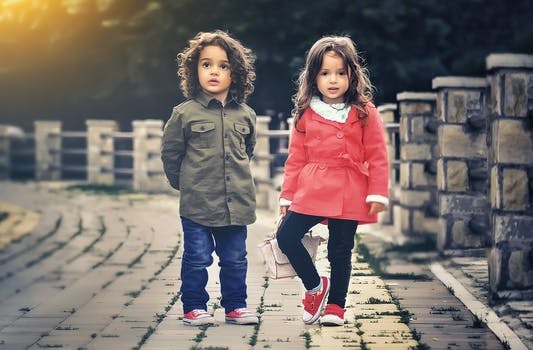 In my experience, though, sibling relationships are sort of weird and often a bit unpleasant. 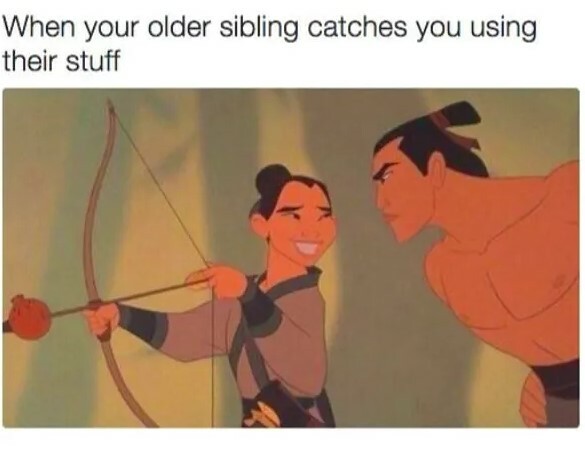 Here are seven amusing images about siblings that sum up the sibling experience. I don’t have any male siblings, so it is hard to compare my attractiveness level to the other people my parents decided to create. Knowing my luck, if I had a brother I would definitely be the ugly one. No one has ever said anything nice about my looks. I have heard comments like “eh, you’re good enough”, but that’s pretty faint praise. The closest things I have ever had to brothers are my dogs. Women really seem to find my dogs pretty adorable; they never find me adorable, sadly. I am clearly the unattractive brother. When I think about brothers, I think about the hit sitcom “Wings”. The main characters were a couple of brothers. They were both pilots, and the show took place at an airport. It aired in the 1990s. It never really got the recognition it deserved, sadly, despite starring actors like Tim Daly and Tony Shalhoub. One of the things I really liked about it was that many “Cheers” characters appeared on it. At one point, Frasier Crane visited the island of Nantucket, which is where the show was set. The actor actually won an Emmy award for that. Norm and Cliff also decided to visit Nantucket. They were supposed to go fishing. Instead of fishing, they just went from bar to bar. Tricia and her brother clearly have a bit of sibling rivalry going on for some reason. It happens. I can’t really relate to this in regard to siblings, but I do find myself wanting things that others have. For example, a few years back, I had a nice chat with a woman who hangs out at the bar my friend works at. She was clearly hitting on me, but I wasn’t interested at the time. There is nothing wrong with her, but she lives more than a half hour from my house, and I don’t even like leaving my house. A half hour is a bit much. I recently learned that my friend starting dating her. Now, all of the sudden, I’m ticked off at him. It isn’t that I was particularly interested in her, but my friend is like a brother to me—now he has what I don’t, so I am peeved. Fortunately, I don’t see the whole situation damaging our friendship for very long; there is no way she’ll stay with him for more than a month. This is another tweet to which I just can’t relate. If I had an older sibling who just happened to be a dude, I would probably have wanted his stuff. I imagine he would have owned a lot of neat video games. I had a childhood friend who had a lot of stuff I was jealous of, though. For one thing, he had an elevator in his house. Who puts an elevator in their house? 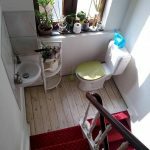 Is it that hard to climb a few stairs? He also managed to get a woman to marry him, and I am jealous of that. Sadly, he perished last year just a few months after the marriage, so it was not much of a victory on his part. I think it is safe to say that things didn’t turn out so well for either one of us. It is weird to go to the funeral of someone you grew up with, honestly. If you haven’t experienced such a thing, do know that I don’t recommend it. When you are looking at them in the casket and remember pretending you were “Ninja Turtles”, you can’t help but reflect on things. In my case, I wondered how I was ever young enough to run around the woods pretending I was a “Ninja Turtle”. Childhood is but a distant memory at this point, but the sad thing is that I would be thrilled to run around the woods with him one more time pretending to be a comic book character. Even a cup of coffee would be nice at this point. Happily, I never had to share clothing with a sibling. That would have been weird, really, as I didn’t have an older brother and I grew up in the 1980s. That wouldn’t have been acceptable back in the day. Also, I would look terrible in a dress. I have very hairy legs, and I don’t even like shaving my face. I really do despise shaving. As an early Christmas present, my mom bought me the new cowboy game that “South Park” has been referencing for a couple of weeks now. I am sure you know the game I am talking about. It is a great game in a lot of ways, but you have to shave and get your hair cut. 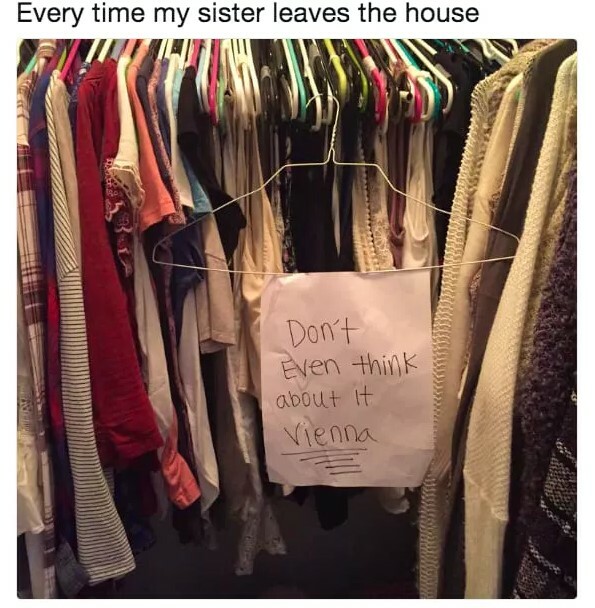 I think you also have to wash your clothes. I don’t need that. Why do I want to deal with hygiene when playing a video game? I don’t mind getting my hair cut in real life; I like the owners of the establishment, and the woman who cuts my hair enjoys horror movies and sitcoms, but I don’t want to play a game where I have to worry about scheduling a hair appointment. That’s just a little too realistic for my taste. It is bad enough I worry about having to pee when playing “The Sims”. Speaking of “The Sims”, I made the mistake of ordering the “Seasons” expansion pack. It literally was an accident, too. I read on Facebook that there was a substantial sale, so I went to verify that information. I hit the wrong button. It was late, and I was tired. Now I have to deal with seasons when playing “The Sims”, which is obnoxious. I hate seasons in real life; why would I want to deal with them when playing with my Sims? From what I understand, a Sim can literally pass away due to getting too cold—which is my worst nightmare. Realism in video games has gone too far. I liked the good old days of video games. If you weren’t jumping over barrels tossed by a monkey, you were eating flowers that allowed you to throw fireballs. If you were Pacman, you had to run away from ghosts, but that was about as scary as things got. This is another thing to which I can’t really relate. I didn’t have any male siblings, and my parents didn’t really have any interest in having me look like my sisters. They were sort of worried about putting food on the table and paying for a roof over my head. I appreciate them for that. 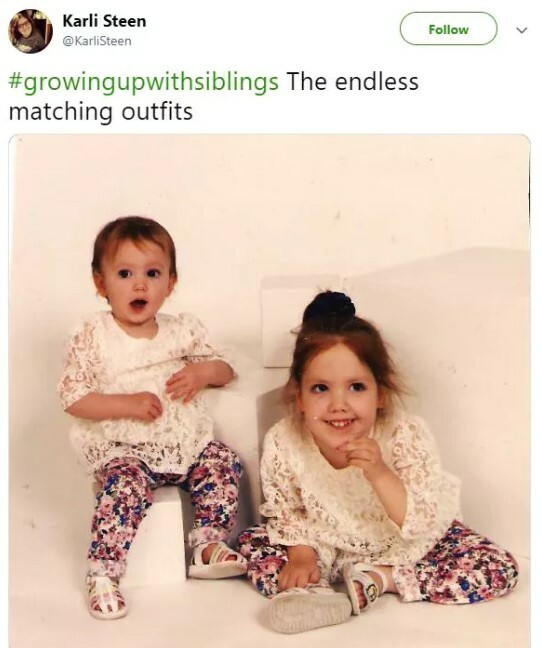 I have never understood the concept of dressing children like one another. I guess it looks kind of cute on a Christmas card, but I still don’t see the appeal. Why bother? I also don’t understand the concept of Christmas cards. Personally, I have never sent them out, with one exception. I send one Christmas card every year, and that goes to my aunt. She was born 70 years ago and is a nun. To her, getting a card is like Mardi Gras. I am not going to deny her that particular joy, even if I would like to do so. Cards are expensive, and they are also super lame. When I think of greeting cards, I often think of that episode of “Seinfeld” when some woman who works for public television sends Jerry a “thank you” card for agreeing to appear on a fundraiser. Being somewhat unsentimental, which is an understatement, he tossed it in the trash. She noticed, and it didn’t go over so well. I don’t know why she made a big deal over the matter. Who keeps greeting cards for more than a couple of days? I actually have a “thank you” card that I have been meaning to throw away. I went to a friend’s wedding five months ago, and she thanked me for the gift in the form of a card. She could have bought me a beer, but she instead decided to write me a card. Her handwriting is very nice, true, but I could have done without the card. I don’t think I even read it. The only reason I haven’t thrown it away is because I am very, very lazy. 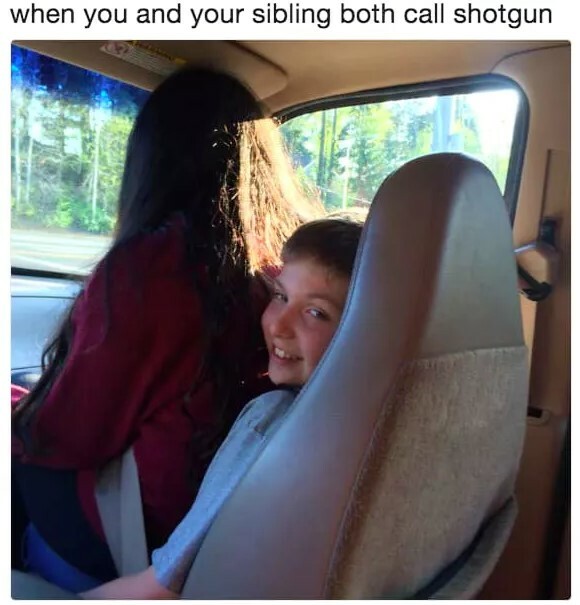 My parents used to force me to go on car trips with my siblings. I have no idea why, either. Looking back, they were pretty pointless experiences. They also refused to buy me a “Game Boy” so that I could pass the time in a pleasant fashion. I guess they expected me to look out the window—or talk or something. The Pennsylvania Turnpike isn’t that interesting! What was I supposed to talk about? I remember there were cows on the side of the road, but you can only milk that topic for so long. Portable video games were invented so that people no longer had to have conversations. I don’t understand what is so difficult to understand about that concept. Those trips really were pointless, too. I didn’t have any sort of meaningful relationship with the people we were visiting. It was just eight hours in the car going to a place I didn’t want to visit. They could have just laid out clean clothes, taught me to microwave my own meals, and left me alone for four days. That would have been a lot more bearable. 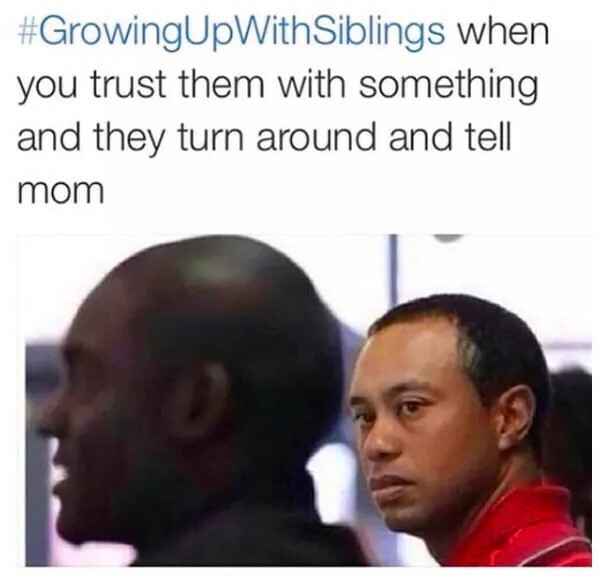 You can’t really, at least in my experience, trust a sibling. If you tell them something, they’re going to tell your parents. At best, they’re going to keep that information in their pocket for the time they’re in trouble. As soon as they’re in hot water, they’ll just betray you. When you really think about it, the whole thing is just sort of sad. There are all of these great quotes about how siblings are friends that just happen to be given to you by nature, but that really isn’t the case. The simple fact of the matter is that siblings are people who have been forced into your life by nature who are willing to betray you when it is convenient to do so. I trust my current dog, who is kind of a jerk, far more than I trust most of my blood relatives. When it comes to my dog, I understand the relationship. There’s nothing complex about it. He wants to know that he’ll get fed every day. I want to know that he won’t eat my face if I fall asleep on the couch. It is just that simple. When it comes to siblings, though, who the heck knows what’s going on?